Home / back pain / fitness / health / health care / health informatics / health issues / obesity / osteoporosis / What causes lower back pain in the elderly? What causes lower back pain in the elderly? Why does back pain happen to older people in particular? 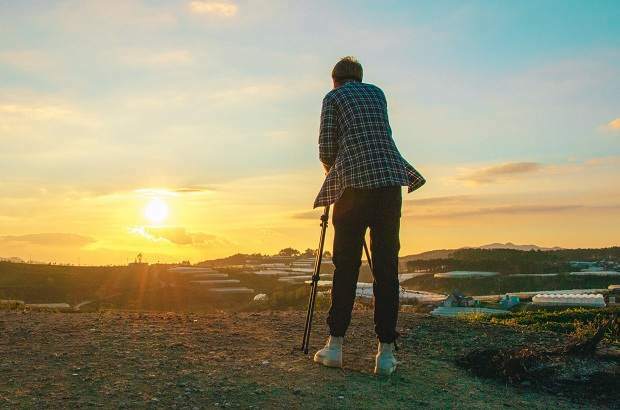 One of the most common pains in older people is back pain, because it is very painful and prevents them from performing many of the daily tasks or even walking and moving from one place to another, and we will address here many of the reasons that stimulate the emergence of this pain. Many people suffer from the problem of back pain because of the many reasons that stimulate the appearance of symptoms on the body, but the elderly are the most vulnerable to this problem in particular, because of the weakness of their muscles and inability to bear the tasks of life as it was in the youth, Or severe injury to many of the gaps in the spine, which is called osteoporosis, or rupture of tendons and muscles of the back and the occurrence of muscle spasms that usually come because of the lifting of heavy things always or exercise bodybuilding and pressure on the lower back on the day of exercise back, or a slipped cartilage , Or injury rheumatism, which severely affects the muscles and spine, and many other causes that usually come to people and appear only after the age of forty or fifty years, and here we will learn the most common causes of back pain with the identification of important tips to reduce the severity of this pain , so let’s start. The most common cause of back pain is osteoporosis for older people, as statistics have shown that half of the women and one-third of men over the age of 60 develop osteoporosis, and the symptoms begin to appear to women, especially after 40 years because they are weaker than men on In general, this disease is a decrease in bone density and the appearance of some holes and gaps in them and then the body is more prone to fractures and pain when colliding with anything, and begin the incidence of the disease increase when the rate of calcium in blood and this decline occurs continuously as we age, Eat foods high in calcium, such as milk and dairy products, pulses, fish, nuts, figs and leafy vegetables. But milk and dairy products, such as cheese, butter, and cream, are the most calcium-rich foods. If we want to fight osteoporosis, which causes the back pain problem for older people, we have to eat between one thousand and three hundred milligrams of calcium in many dairy products and their derivatives. Arthritis is one of the most common causes of back pain. In the elderly, arthritis is generally a disorder in one or more joints of the body. These joints are exposed to men, hands, knees and lower back. On the elderly, but can affect anyone at all ages but it affects the elderly by doubling the children and young people, and when the inflammation of the lower back of the spine is the problem of back pain that we are talking about here, and some inflammation of the joints of the lower back on the image of swelling The joint is bulging, Roughness of the back joint, inability to move it flexible, and severe pain in the lower back and surrounding area. These effects together indicate back arthritis and therefore we have to go directly to the specialist doctor, which in turn will diagnose the situation and give advice and guidance on natural therapy with some of the painkillers and drugs available for these symptoms, and the general problem of inflammation of the joints of the bottom of the spine causing back pain is easy to treat. They can be recovered quickly, unlike osteoporosis. The spinal column is made up of a series of thirty-three vertebrae. When any one of them is injured, the back pain is present in the person. When a spinal fracture occurs, the back is unable to move smoothly and flexible as before. Some of the painful effects of this fracture is the redness of the affected area or the sensation of pain when touched or the inability to bend to bring something or kneel in prayer, this fracture occurs as a result of a painful blow to the back, or falling from a high place, or because of the impact of osteoporosis on the spine and eating one of the paragraphs, poverty Like a fracture, because the region that have taken place by the fragility become empty and hinder the movement process and bends by the body on a daily basis. This is where a person feels the problem of painful back pain and has to go directly to the orthopedic doctor to do the necessary tests and know what happened in the spine, and the treatment will be a medical belt if the extent of injury is simple, but if deep is to be surgical intervention and the development of industrial paragraphs and laser rays, and then the back pain will end immediately. An important cause of back pain is the rupture of the tendons and muscles of the back. This rupture occurs as a result of involuntary spasm of the back muscles and requires complete rest and no physical exertion. This rupture usually comes from practicing back exercises in this bodybuilding game for young people, And older people are related to the side effects of some drugs used by people, or the emergence of imbalance in the metabolism for people with diabetes, or lack of calcium in the blood, these are the problems that cause muscle rupture and the emergence of back pain on the elderly, and if we wanted a treat. The Rip it first puts hot compresses on the place of infection. Boiling some ginger in a pot of water, the ginger leaves and puts it in a roll of cloth and then puts it on the site of the injury several times a day, and if the pain continues for a long time we must go to the doctor directly to examine the location of infection and give the appropriate medicine for pain, This ruptured muscle or tendon will end up feeling full back pain. Scientists say that excess weight hinders the body from many of the daily tasks besides the causes of diseases, and when the weight of the human excess begins to load on the muscles of the back and spine and this may cause the curvature of the column or any problem, a great burden on the human beyond is a natural capacity, and therefore warn doctors to eat excessively because of the lack of obesity on the body, and with age, older people are unable to bear this overload and walk or move it, and here begins symptoms of painful back pain to appear on the body of the elderly , according to a few calorie diet to eliminate that obesity, adjust the food to people who were not exposed to back pain not to fall into this difficult problem. Note: This article contains medical advice, although these tips are written by specialists and are safe and harmless to use for most people, they are not a substitute for your doctor's personal advice. Use it at your own risk.